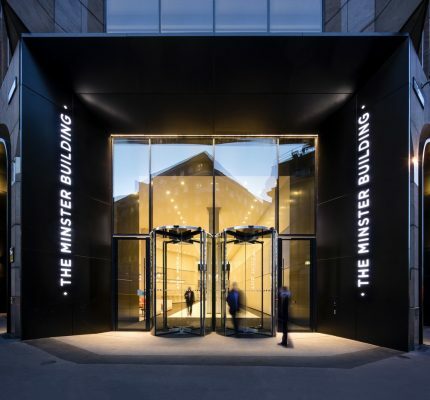 BuckleyGrayYeoman has completed the refurbishment of The Minster Building on behalf of Greycoat Real Estate and Ivanhoe Cambridge. 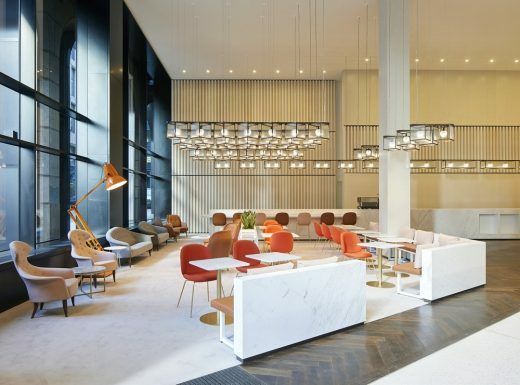 The refurbishment brings to the market 250,000 sq ft of Grade A offices, with typical floorplates of 35,000 sq ft, in the heart of the City of London’s Financial District. In addition the building will provide up to 65,000 sq ft of retail and leisure space. 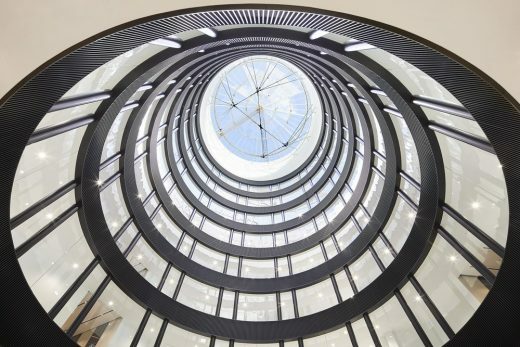 The Minster Building provides high quality commercial space with an emphasis on work/life balance. An enlightened targeting policy has led to early retail and leisure lettings at the building that include The Third Space, which will open its first luxury health club in the square mile; Brewdog, which will open the first of its new Brewpub concept – featuring a 10 hectolitre brewing facility; and Crussh, which will operate the building’s in-house juice bar at the building entrance on the corner of Mincing Lane and Great Tower Street. 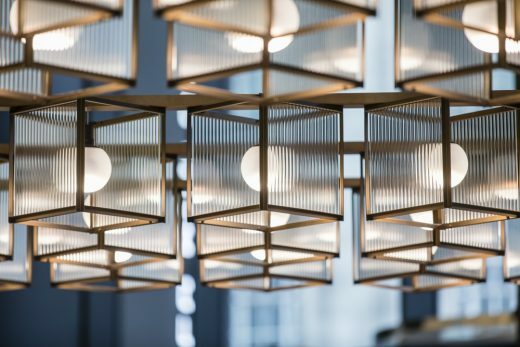 A number of office lettings are due to be announced shortly, including a flexible office and coworking provider. The Minster Building was originally built in 1992 to designs by GMW Partnership. 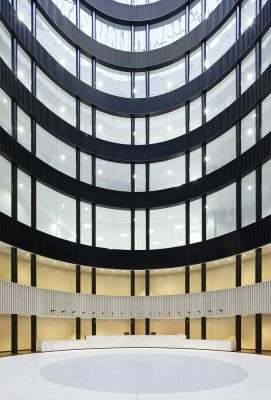 The building’s soaring central atrium was dominated by what was once Western Europe’s longest run of escalators – a feature that has been removed by BuckleyGrayYeoman to create a dramatic, eight storey space, 70 metres high and 18 metres in diameter, which floods the interior with natural light. 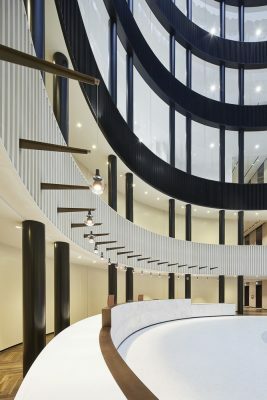 This new atrium sets the tone and material palette for the rest of the development, with curved glazing, textured jesmonite panels, marble and bronze combining to create an opulent, airy and uplifting ambiance. 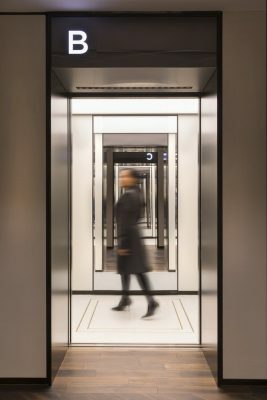 Visitors to the building enter via a new entrance created by the architect on the corner of Mincing Lane and Great Tower Street. 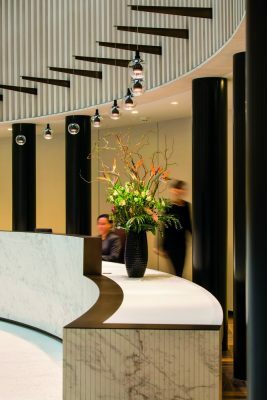 An impressive 30 metre-long boulevard leads directly to the central atrium where the building reception is located. 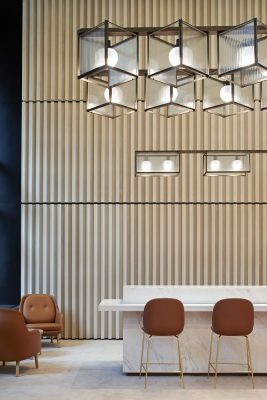 The large floor area of the entrance has allowed part of the space to be taken over by an in-house juice bar, operated by Crussh, with stylish informal café seating for meetings and private work. 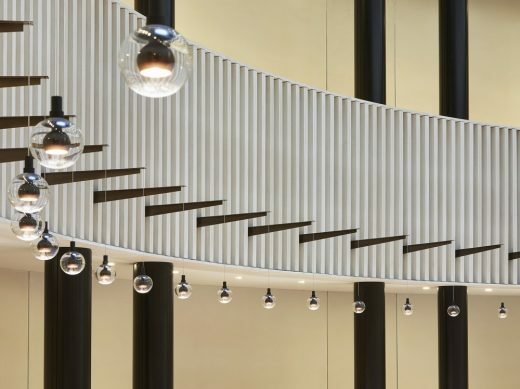 A feature artwork designed by local artists Arcylicize will be suspended from a truss that once supported the tower of 16 escalators running the full height of the atrium. 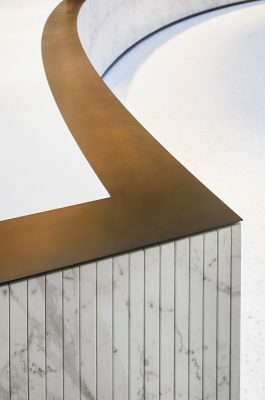 The curving reception desk at the base of the atrium has been crafted from a single sheet of marble, sliced into sections to allow it to follow the curve while still reading as a continuous piece. 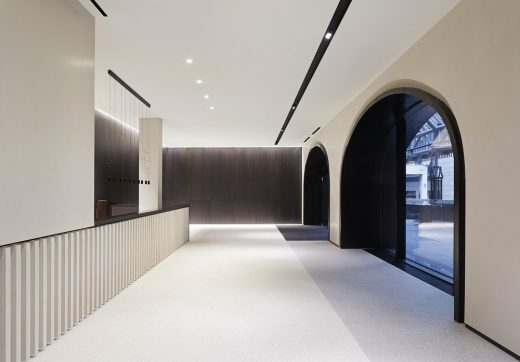 A second reception faces the central courtyard of Minster Court to the north of the building. The 35,000 sq ft floorplates benefit from extraordinary views across the eastern city, the Thames and the Tower of London. 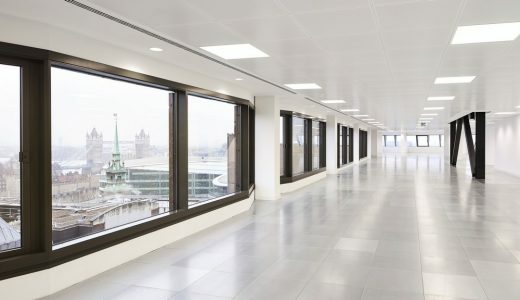 A former trading floor on level one features grade A workspace a with 3.3 metre floor-to-ceiling heights, while other floors average 2.75 metres. 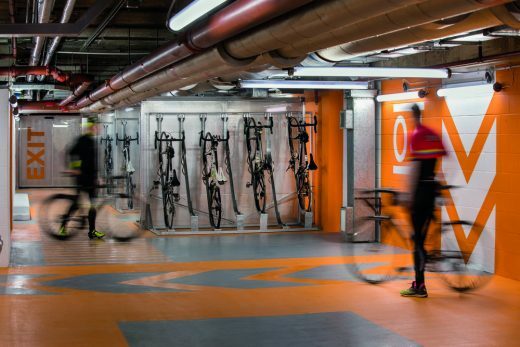 250 cycle racks and lockers have been created in the basement alongside, state of the art gym-quality showering and changing facilities for runners and cyclists.